The Floral Boutique Suite is gorgeous - use it to create striking cards- I think I actually gasped when I first saw it in the catalog! Love at first sight, lol! 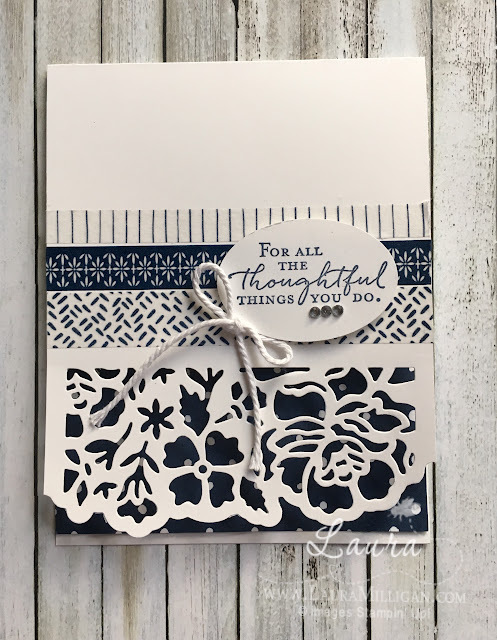 The stamp set and thinlets are paired with whisper white and navy blue products - washi tape, bakers twine and the designer paper - love it! My card today uses almost everything in this suite - seen on page 76-77 of our annual catalog. 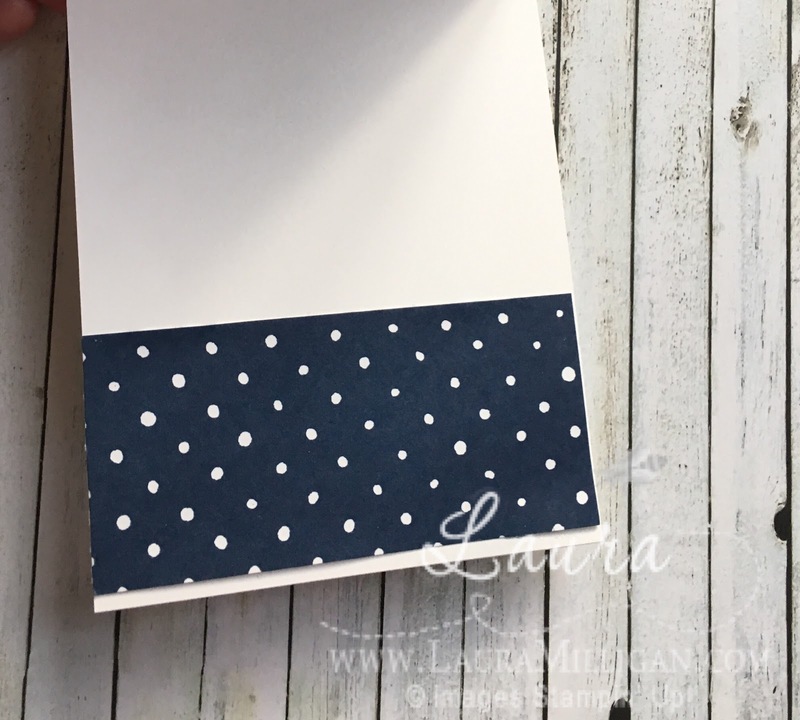 To create this card, I started with a piece of 4 1/4" x 11" Whisper White cardstock - scored it at 5 1/2". I ran this piece through the Big Shot with the smaller thinlet and the cutting edge. You will then want to place the cardstock with the thinlets still in place and use the die brush over this to help remove the smaller pieces. The rest of the card front was completed with strips of the Floral Boutique Washi tape. The inside of the card has a piece of the Floral Boutique Designer Series Paper measuring 2" x 4 1/4". Here is the video created by Stampin' Up! that shows how to use the thinlet dies. Supplies used on my card are listed below! I would love the opportunity to serve as your Stampin' Up! demonstrator. 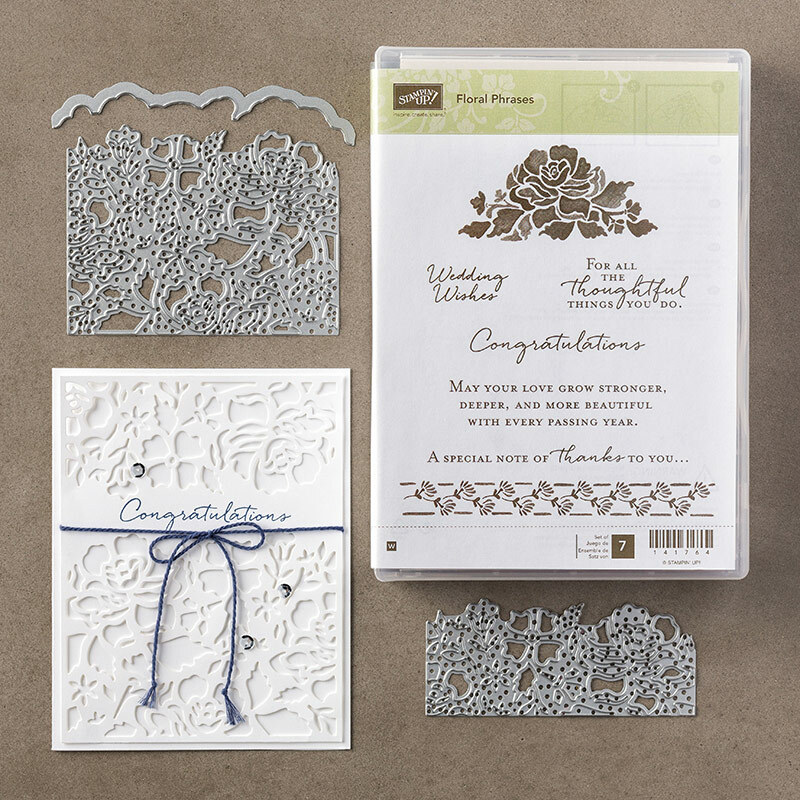 You can order Stampin' Up! supplies by clicking on any of the images or on the Shop Now link on the right hand column of my blog!